This Weight Loss Meal Plan for a 200 Pound Man Might Work for You Too! Meal plans for weight loss is going to be a no fluff account of the menus which has worked to enable a real person to achieve 10 % body fat and a total weight loss of approximately 30 pounds. I am starting this log on Dec 8th, 2015 and will continue to update. The following meal plan helped me to go from 200.0 to 196.7 pounds in one day. Yes, my main goal is fat loss and not just weight loss, and for that reason, I am going to also record the strength training routines as well. Enough said for the moment. As you will see below, I am attempting to get in six real food meals in a day, but only did five on Wednesday. The main strategy is to have a whole grain carb, least processed as possible like brown rice, oatmeal, sweet potato and whole grain rye wrap. 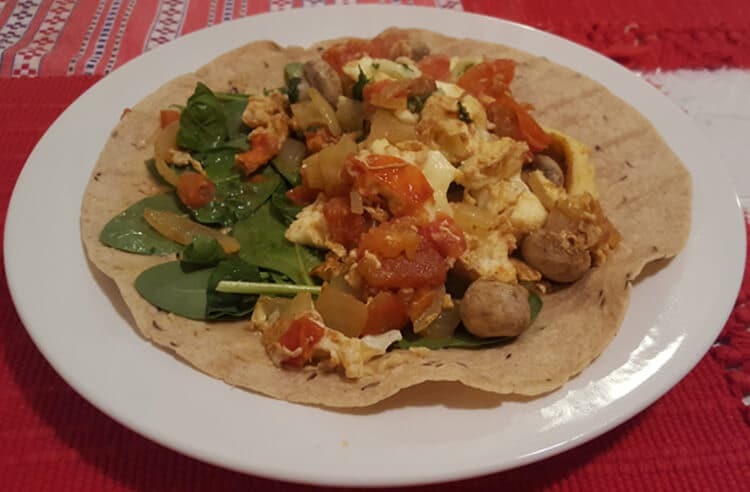 I know, the rye wrap has more ingredients in it than I am happy with, but in the meantime, it is making breakfast doable for me and it is the meal plan for weight loss that we stick with which will be most effective. Besides the whole carb, add a protein and some fruit or vegetable and that is it, as you can see in just about every meal. I can also tell you that after having done this now for a few days, my energy level and mood is on the rise. Looking for progress, not perfection. If you are wondering why shoot for 10 % body fat, the answer is that I wanted a big goal. Meal Plans for Weight Loss begins with Breakfast. Classic Hashi Mashi Breakfast.